There can be no denying that Ambergris Caye, a stunning island located just north of the Belize mainland, is a beautiful destination. With incredible scenery, gorgeous beaches and a warm climate, it is the perfect place to relax and unwind. For many people, one or two weeks in paradise just isn't enough. If you are interested in visiting or even moving to Ambergris Caye, here are seven reasons to follow through and make one of the best decisions of your life. At the end of the day, one of the biggest factors in determining whether to vacation or even relocate to a new destination is budget. On Ambergris Caye Belize, the costs of living are low. Housing and even hotel accommodations are affordable, and basic necessities are much cheaper than they would be in most North American destinations. Ultimately, what brings visitors back to the island of Ambergris Caye time and time again is the atmosphere. The pace of life is slower on the island, creating a destination that is inviting and welcoming. 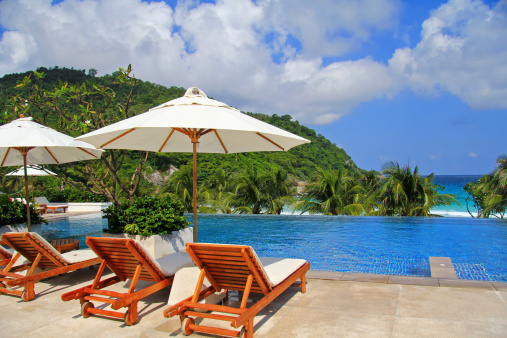 Whether you plan to spend your days relaxing on the white sand beaches or swimming in the refreshing waters of the pool, you will enjoy the relaxing and calming environment. Moving to Central America is a concern for someone people who are unfamiliar with the banking system in Belize. However, just a little research shows that the nation has an incredibly secure banking system in place. With a tropical climate that stays warm throughout the year, Ambergris Caye is a major destination for those who don't want to live through another cold winter. While there is a minor variation in temperature between the summer and winter in Belize, temperatures remain in the 70s every month of the year. Ambergris Caye may be a tropical island, but it does not lack for proper medical and healthcare systems. There are several doctors who live on the island, and there is a large clinic that is open 24 hours a day and always has a doctor on staff or on call. In any medical emergencies, planes or boats can have patients in Belize city hospitals within the hour or even hospitals in Florida within two hours. In addition, healthcare in Belize is very affordable, with most visits to the doctor costing around $20 USD. Although individuals who plan to move to Ambergris Caye often want to get to know the local culture and local residents, it is also nice to have a taste of home with fellow expatriates. There are many citizens from around the world that call Ambergris Caye home, specifically those living in the Grand Baymen community on the island, so it is easy to make friends and establish new relationships. Once on the island, there are countless ways to enjoy yourself. On the water, visitors and residents can swim, snorkel, try scuba diving, go deep-sea fishing, go kayaking and even take boat tours around the island to watch the sunset. On dry land, there are opportunities for golfing, tennis and several pools to swim and relax. It is clear to see that Ambergris Caye Belize is a wonderful destination. Whether you are interested in visiting a tropical paradise for a few days or weeks or even making Belize your new home away from home, the island boasts everything that you might ever want or need.